Yesterday was a rough day. On two different occasions both girls were in tears. They were tired, overwhelmed and the work in front of them seemed insurmountable. This was the part of our family rehab that I was dreading. And I was tired, overwhelmed, and the dramatic emotions of the two girls in front of me also seemed insurmountable. I needed to be watchful. I needed to step back and take a look at the bigger picture of what was at work here. I think the enemy was at work to discourage our hearts and to give us those feelings of hopelessness. We were under attack. But we did not need to respond in fear. We needed to look at the verse some more. 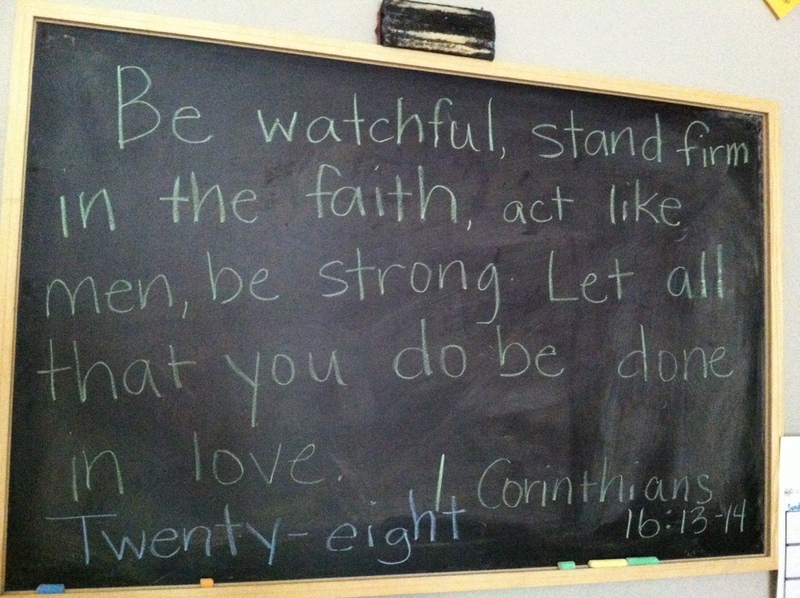 In response, as the verse points out, we needed to “stand firm in the faith, act like men, be strong.” I reminded myself and the girls that we are not alone in this. First, of all we have each other and we were all experiencing the same emotions. None of us were alone in this. Then I took responsibility for the fact that I gave Ava way too much math work for one day, and I trimmed back her assignment. Then, I reminded them (and myself) secondly, but more importantly, that Jesus is with us too. He cares for us and our hearts, and because He lives in us, we can do more than we think we can. His Holy Spirit does great things in us. If the same Spirit that raised Him from the dead also lives in us, then we are unstoppable! Even when it comes to 4th grade math worksheets, and having to write sentences to accompany a 2nd grade storyboard. I love it. You were probably learning a lot yourself while this went on……….how many math problems take Ava to the brink? Is there a balance of hands on Math activities and the Math worksheets. If this was the Friday test, maybe there could have been another way for Helen to respond in the storyboard (write with pencil on two of them, write with a colored pen on two others, make a vocal recording for two more.) 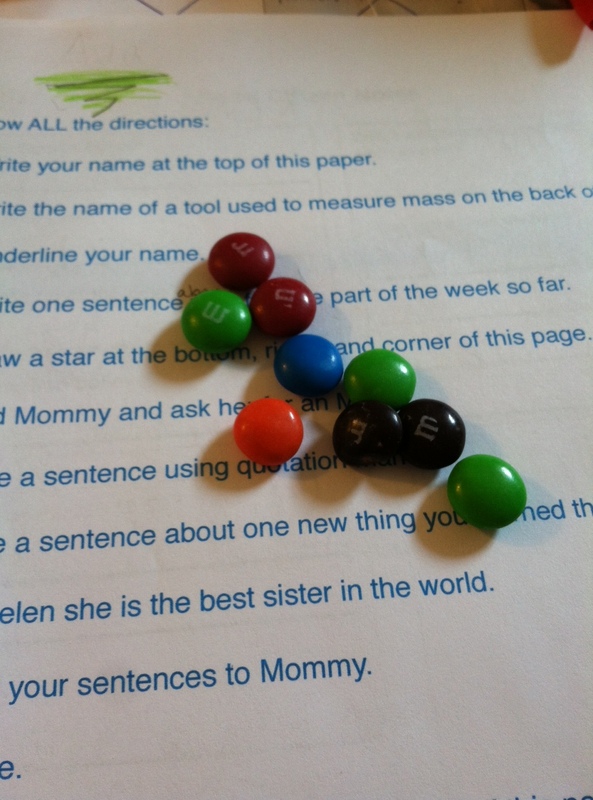 Hint: testing does not have to be a quiet paper and pencil time – especially in this new setting. Next PostNext Minutes gained, not lost.